020 3000 7626 Call Us Now! locked out? lost your keys? need a lock change? At your door in 30 minutes. Imagine this scenario: you arrive at your house in the wee hours of the morning, insert Your master key into the main door, twist and ‘crack’! Your key just broke! Or you Slam shut your car door, only to realize half a second too late that your key is still Hanging in the ignition. You can either break open the window to get inside, or choose The cheaper route: hire Fulham locksmith emergency services. We can open your door for you without Causing any damage to your house or vehicle. With Fulham locksmith, you have access to a 24-hour Fulham locksmith emergency Service. You can call our hotlines anytime of the day or night and where a courteous Operator will be happy to help you. Our average response time is less than 30 minutes. No Matter where you are in the uk, we are can help. No drama. No hassle. But our service is not restricted to just opening locked doors. Here’s another scenario: a burglar just broke into your house and destroyed the lock On your door. Aside from the stress and trauma as a result of the violation, there’s a Practical task at hand. Unless you are not planning on getting any sleep to stand guard On the damaged door, you do have to repair your lock. And if possible, reinforce it with Additional locks and security alarm systems to make sure the burglary doesn’t happen Again. And this is where an Fulham locksmith comes in. We believe that you can’t place value on peace of mind. We know the value of a sound Night’s sleep. Just choose from among our numerous packages and allow us to take Charge of your security so you can proceed with your life without worry. We aim to be the best in the industry. 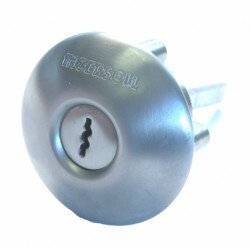 And there are very few companies that offer our Complete lock service. Save our number or better yet, put us on your speed dial! You never know when you Are going to need Fulham locksmith. please enter e-mail e-mail is not a valid format There was a problem validating the form please check! The connection to the server timed out! DoorsThe favourite method of entry for burglars, so a BS five-lever mortice.. Copyright (c) 2012 Fulham Locksmiths. All rights reserved.